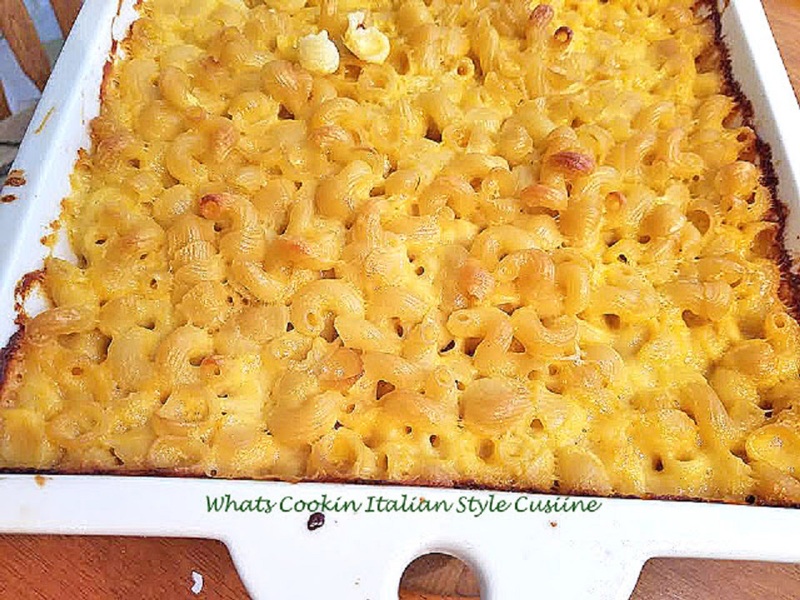 I just love the garlic and cheese flavors in this pasta a classic recipe. 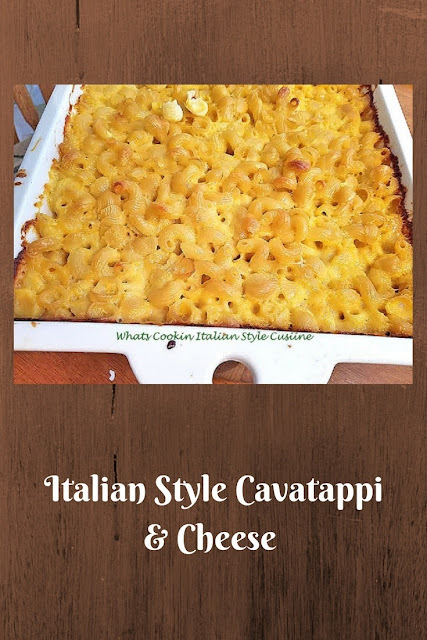 Fun shaped "Italian Style Cavatappi Macaroni and Cheese" will be the perfect comfort food this season! Just the best flavors all in one dish baked to perfection. It's always fun to experiment with other shaped pasta's! The kids just love this shaped pasta. They call it curly macaroni. I love to make it for them because there is never a time they are fussy with this pasta dish. The cheese in here is full of buttery flavor and taste even better the next day heated up. We love to broil the top until the pasta gets crispy. Not everyone likes it that way, I for one love it! In a glass (microwave proof bowl) or stove top, add both milks, all the cheeses, 4 tablespoons butter cook until cheese is melted and well blended with milk. Add salt, pepper to taste. In the meantime boil the macaroni in salted water to package instructions al dente, drain. Place in a large baking dish that has been butter generously. Place cooked macaroni in the dish. Add all herbs, minced garlic and spices to the milk mixture stirring together. Add cooked macaroni dish. In a separate bowl add bread crumbs and melted butter and mix set aside. Bake at 375 until browned and bubbly, around 45 minutes to an hour. Sprinkle with more grating cheese and top with bread crumbs, red pepper flakes, drizzle with butter. Broil until crispy topping on high for 2 minutes or so. Watching carefully. Doesn't get much better than this! Yum!!! Boy, all that cheese must make this one incredible mac and cheese!